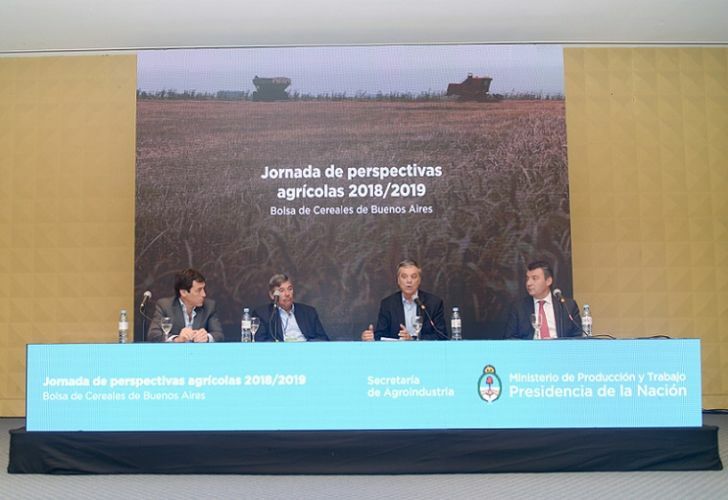 Argentina's farmers will harvest 140 million tonnes of grain in the 2018/2019 season, the largest harvest in the country's history, according to the country's Agriculture Secretariat. Secretariat of Agriculture officials discuss the 2018/9 Harvest. Foto:Agriculture Secretariat. 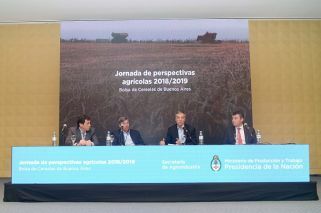 The result would represent a 25 percent increase on last year's harvest of 112 millions tonnes, government officials said, addressing the recent 3rd Conference on Agricultural Perspectives at the Buenos Aires Grain Exchange. The event addressed the situation facing national and international markets, as well as productive and climatic conditions. "Despite the fierce drought, Argentine producers have again put their bets on the country demonstrating its strong commitment to agriculture, which is the engine of our economy", Agriculture Secretary Luis Etchevehere said, speaking from China where is conducting a trade mission. "To continue moving forward we need a new Seed Law, which is in line with all products. Together with environmental issues and sustainable development we will be able to generate more added value that will ultimately generate genuine wealth", Santiago del Solar, the Secretariat's Cabinet Chief, said at the opening of the event. For his part, undersecretary of Agricultural Markets, Jesus Silveyra, stressed the need to "to demonstrate the enormous opportunities that we have. Argentina has the potential to harvest an additional 60 million hectares, in addition to very important resources such as water, climate, soil". The government estimates the 2018/19 harvest will bring in 54.2 million tonnes of soybean, representing a 44-percent increase on last season's 37.78 million tonnes; and 49.68 million tonnes of corn. For wheat, a new record harvest of 20.14 million tons is expected, with an intention to sow of 6.2 million hectares. The forecast for barley production is for 4.48 million tonnes, while sunflower production will hit 3.7 million tonnes and sorghum 3.74 million.